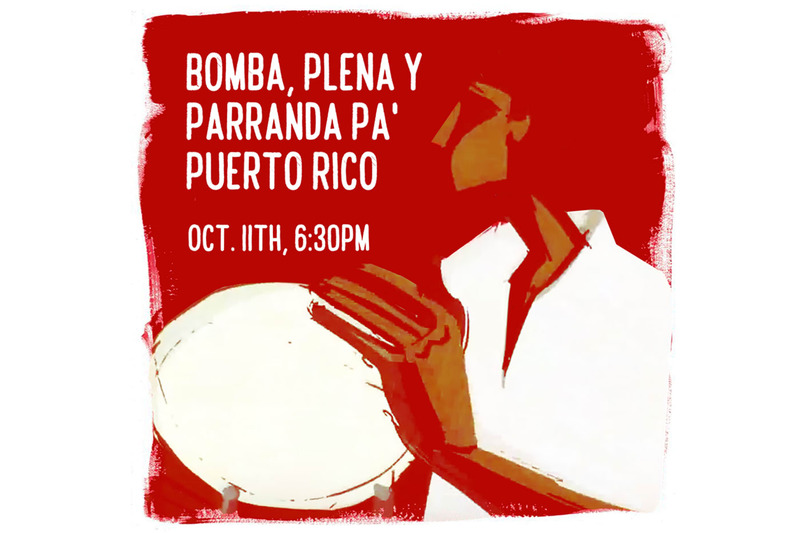 Join us for Bomba, Plena y Paranda Pa' Puerto Rico on Wednesday, October 11th, for relief efforts for the victims of Hurricane Maria in Puerto Rico. We will begin with a traditional Puerto Rican Parranda at 3rd Avenue and 149th Street at 6:45PM and walk up Melrose Avenue to E 151st Street and head towards the Bronx Documentary Center where we will be greeted by Bomba and Plena music for an evening of unity and fundraising. There will be a silent auction of artwork from various artists who have graciously donated their pieces for this event. Food and beverages will be available with 100% of all proceeds going towards the fundraiser to help the people of Puerto Rico in their darkest hour of need. We ask for a $10 donation at the door or 1 needed supplies such as bottled water, batteries, first aid kits, gel hand sanitizer, feminine hygiene products, baby diapers, baby food etc. No donation is too big or small and no one will be turned away at this event even if you do not have $10 dollars, even $1 dollar or 50 cents will help greatly for those in need.